Considered the “Oscars” of the electronic music scene, the theme this year pays homage to the music which sowed the very first seed of the “DJ”, Disco! Held for the first time at Heart Ibiza and sponsored by Grey Goose, this venue has stood out for capturing the true spirit of Ibiza. 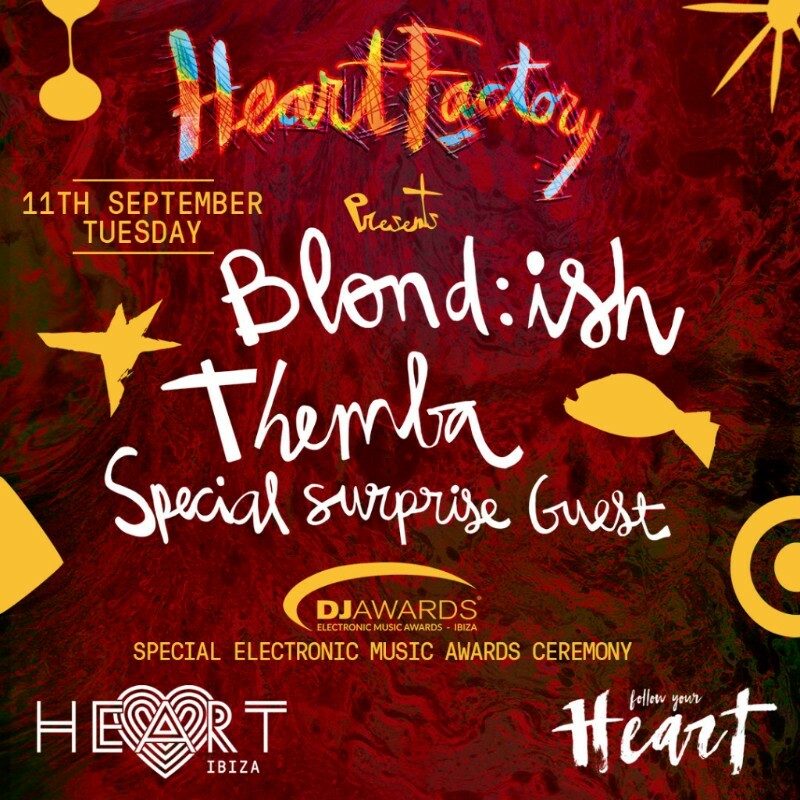 HEART Ibiza is a creative collision of art, gastronomy and music created in a laboratory of experiences. A collaboration between the Adrià brothers and Cirque Du Soleil and represents the perfect setting for the awards. Every night, after offering an unforgettable gastronomic experience, Heart Ibiza evolves and transforms itself into a nightclub where the best DJ’s of the current scene meet. 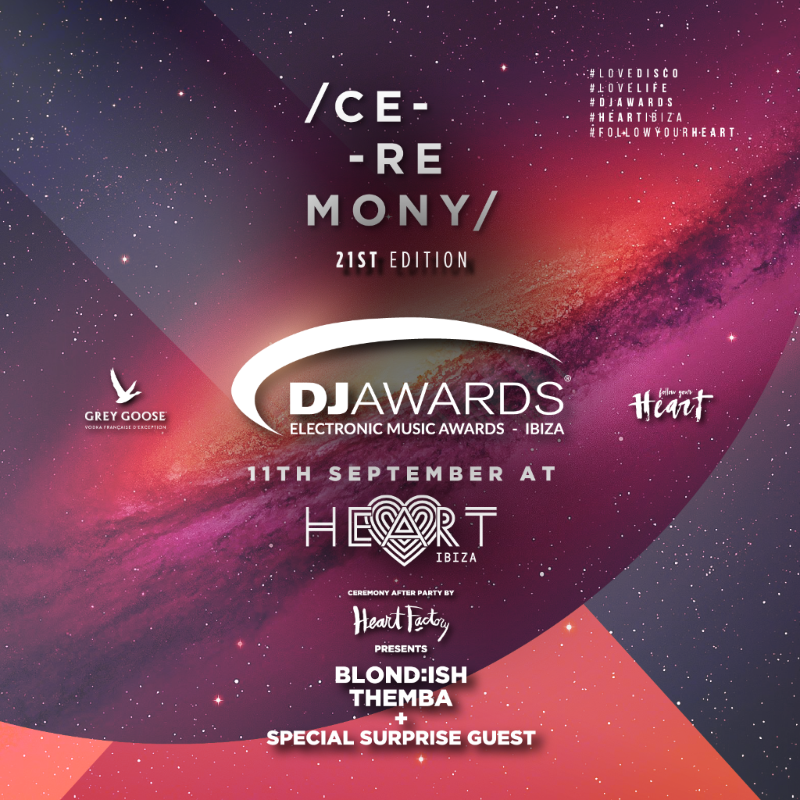 As DJ Awards brings the ceremony to a new venue, We also introduce two new Presenters for the DJ Awards ceremony to be held in Heart Ibiza on 11th September. No stranger to Ibiza, these two are well-known faces to the electronic music industry. Introducing Katie Hayley Knight and Graham Sahara. Katie Hayley Knight, born in 1992 in London and living in Spain since she was 12 years old, had a very clear vocation, training from a very early age in dance and theatre and later studying journalism and audio-visual communication as a double degree. Katie is multi talented and has extensive experience as a presenter for some important key media, including: AmnesiaTV, Mediapro’s Groovety online music platform, DJ Mag TV, Corona TV and Ibiza Global Radio & TV. She is also responsible for the press at Amnesia, which has given her a great background when it comes to the electronic music industry in depth. In the little spare time that she has, her other passions are sport and cooking- She loves to keep fit and try new recipes. Commenting on her new role” I’m over the moon about presenting the 21st edition of the DJ Awards this year at Heart! I’ve attended the ceremony for many years now, so to present them is an absolute honour. I can’t wait for the big night to celebrate and award some of the most talented people in the industry”. Graham Sahara, This award-winning DJ, producer and head of Seamless Recordings, has made his mark in major clubs and venues around the world. For more than a decade he has lived in Pacha, the legendary club on Ibiza, the island that has been his home since the 1990s. Has played in all the major clubs and venues in Ibiza, as well as all styles from deep and soulful, through eclectic and Balearic Sound, to Tech House and Techno. He was awarded the Ibiza DJ 2017 at the DJ Awards, having previously been nominated, when this was a category back in 2006. Previously he had won the Best Ibiza DJ award at the IbizaClubbing-Guide Awards and was also nominated for Best DJ and Best Bar and Lounge DJ at the Deejay Mags awards in Spain in 2008. Director and presenter of Pioneer DJ Radio, he is highly regarded for his joviality and sympathy behind the microphone. “I’ve a fairly long history with the DJ Awards, from working with them being the music director of the Awards whilst they were held at Pacha, assisting on the panel, hosting radio shows and doing interviews at the press reception for various radios, to being nominated and winning an award on a personal level. There’s not much I’ve done been involved in at the DJ Awards, apart from hosting them………ahhh hold on”. Once in every generation something truly special comes along. Enter… Barbara Tucker. Barbara is a sensational entertainer that truly captures the essence why we go to performances. Her shows are extremely intense with her captivating voice and phenomenal stage presence. Question: Why do audiences worldwide cheer/applaud her performances whether they understand the language or not. Answer: They feel her Passion. Barbara is one of the rare performers whose true gift is touching people in a most positive uplifting way. Barbara Tucker to House/Dance is what Stevie & Aretha is to soul. Beatles & Stones is to rock. Barbara Tucker is currently working on her 30 years in dance music Project, more producers more music and remixes …GET READY!!!! Always more to come! Dj “Q”! Not often do we come across a Dj who embodies the whole spirit of dance music. Coming from a music and dance background Dj Q (Quint Young) has shown that he is not only talented on the dance floor but also has an ear for great dance music. From the streets of New York and New Jersey, Q was first noticed as a house music dancer for Bstar music’s “Queen of house” Miss Barbara Tucker, Now he has become an integral part of the Bstar Music Group, Q started with just opening up for Barbara Tucker at shows, since then they have now teamed up to form the Barb&Q project..